By far the best mouse I've ever used. It is even smoother than my old wired Razer Abyssus optical mouse. 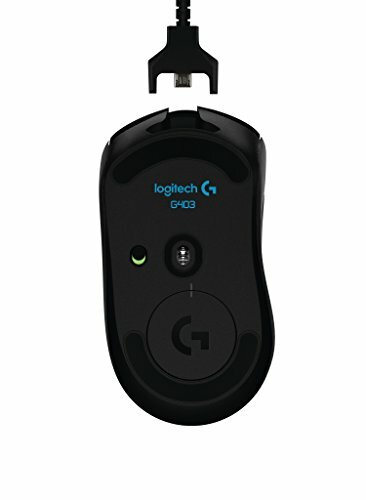 For a wireless mouse, it is better than any wired mouse I've ever used. Battery life is around 30 hours of continuous play which can be increased by turning the RGB LED brightness down or off completely. Love that the color syncs with my headset. No perceivable input lag, never a dropped signal, no interference from other wireless devices. It is a little on the lighter side, however, it comes with adjustable weight. Really solid wireless mouse and I don't notice any lag between this and a wired mouse. You can also use it wired if you want but I only use the cord to charge. It took me a while to get used to the shape of the mouse but now that I'm used to it I find it quite comfortable. My only gripe are the back and forward buttons on the left as I periodically will accidentally click the back button. Feels great with the 10g weight. 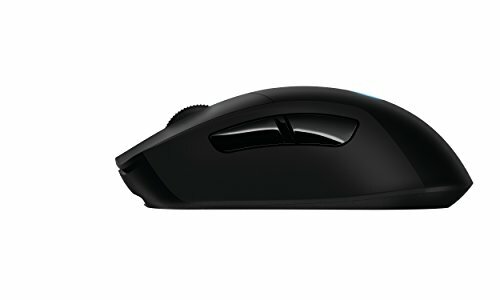 As a new PC gamer I feel like this mouse makes it easier to learn how to aim due to how accurate it is. Mouse feels great. I never realized how terrible my other mice have been. I watched alot of reviews on YouTube by Rocket Jump Ninja. Highly recommend his channel as he explains alot. He even convinced me to measure my hand, which felt pretty dumb at the time. However, it did help me make the best decision. I went with wireless and have had zero lag. You can always plug it in for the wired experience. Great Mouse. My favorite mouse to date! I've had at least 5 different gaming mice and this is the one I will be hard pressed to replace. 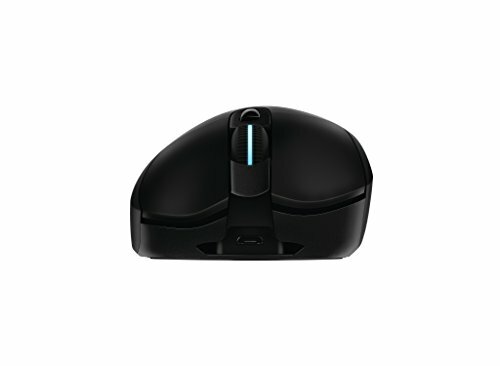 The middle mouse button is stiff, but a quick, solid tap ensures actuation. I do have to charge it twice a week, but the charging cable included fits in a way that makes it feel just like the wired version, I often forget it's even plugged in. The sensor is very accurate with a high DPI range, and I prefer a mouse with only 2-4 thumb buttons(so this has the bare minimum for me). I also don't have very big hands so this mouse's slightly smaller than average size is perfect for me and very comfortable, no cramps yet and it's been at least 6 months since I got this. Sweet mouse! It's extremely responsive and I love the simple design. The RGB is subtle and not ridiculous looking. I only wish the battery lasted longer. 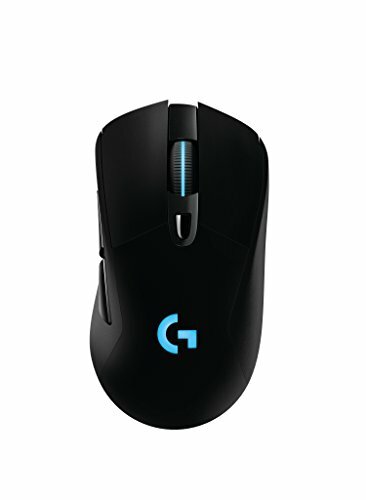 Great little mouse and awesome for the price I got it at, coming in around $43. I love the rgb settings and it pairs well with the G810 keyboard. 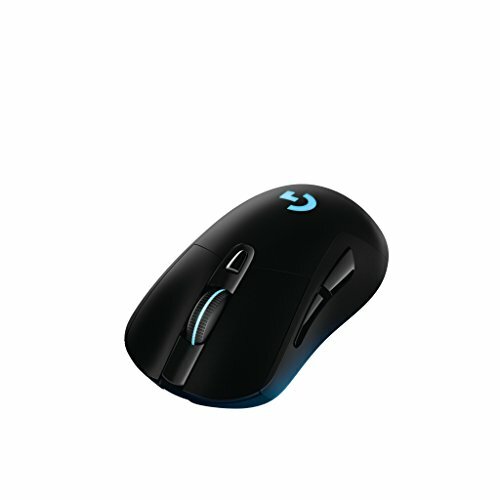 It is extremely light and the added weight does not make much of a difference so if you're looking for a heavier mouse, this is not the one for you. The wireless connection is nice and I have not experienced any hindrance in response time. You cannot stray too far from the wireless usb dongle though, which is a disappointment if you plan on gaming on a TV from a distance. I like the design and shape however, it does not fit my hand that well and I did not come to this conclusion until after being past my return period. I get cramps in my hand after only about 30 minutes of gameplay but for casual internet browsing and everyday use it's great.